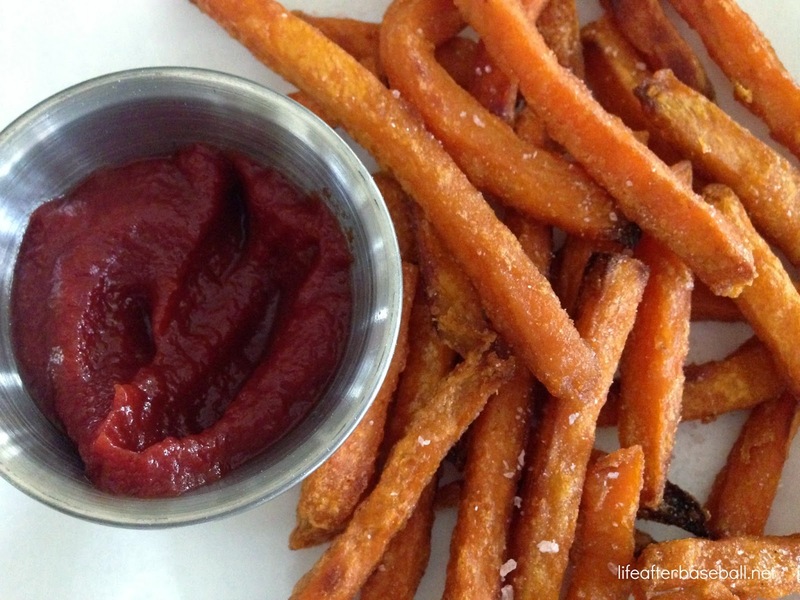 Ketchup has been the talk of the dinner table around here with my family. I've been trying out different organic ketchups and none of them seem to tickle their taste buds except for the organic Heinz. For some reason, I still keep looking for others to try. 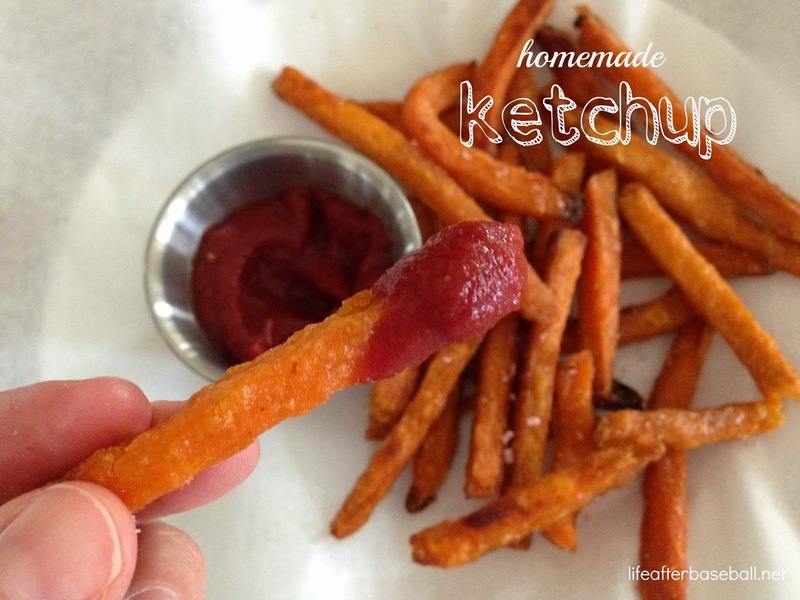 Luckily, I came across a quick ketchup recipe in the paper last week and decided to make it with my own little twist. 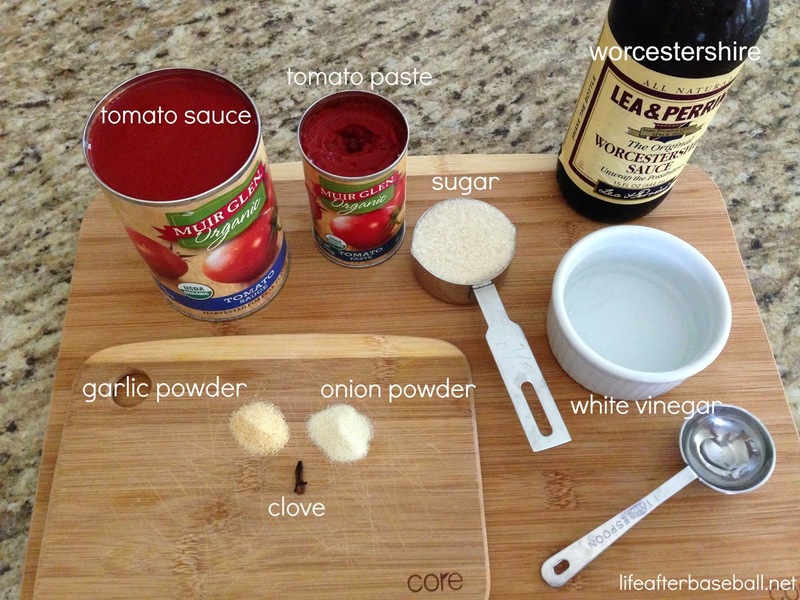 It was so easy to make and it's nice to know the exact ingredients that are in it. It doesn't quite taste like Houston's ketchup but it sure gives them a run for their money. In a heavy bottomed pot, combine all ingredients. 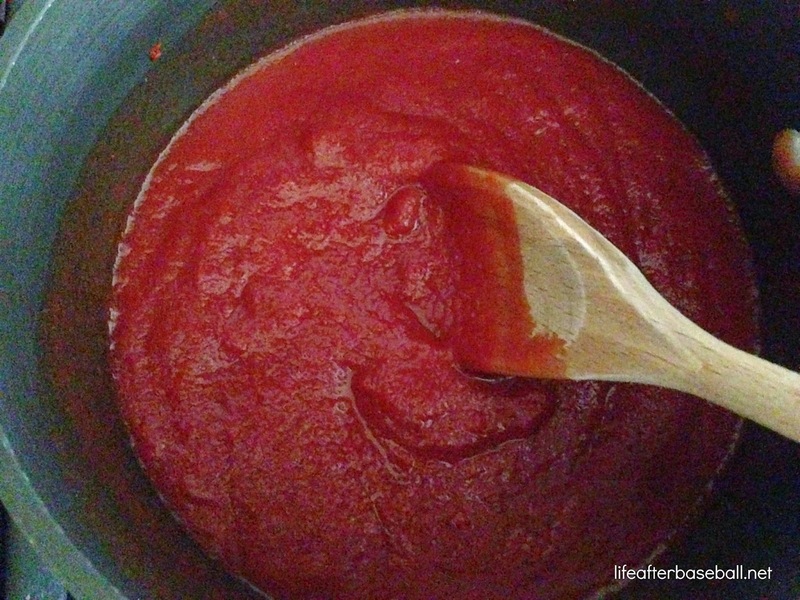 Bring to a simmer over medium heat, reduce to low and cook for 1 hour, stirring occasionally. Remove clove. Transfer mixture to a food processor and process until smooth. Store in fridge for up to 2 weeks. This is so not like you - when did you start liking all this domestic stuff?!? My fam is picky about ketchup too, even though we don't use a lot of it. I've tried a handful of organic brands that everyone has thumb downed. Will have to keep this in mind once the bottle gets low! Sounds good! I've never thought to make my own either. I bet it tastes so much better. Let me know if you girls decide to try the ketchup! @Charisa...my Tuesday posts are mostly new recipes I've tried.